Graduating from college has always been an exciting time for seniors, but it can also overwhelm and stress even the most organized student. 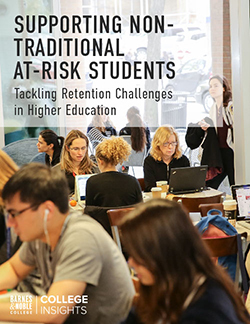 As college life winds to an end, the class of 2016 finds itself preparing for this major milestone, while also studying for exams and thinking about that first real job. 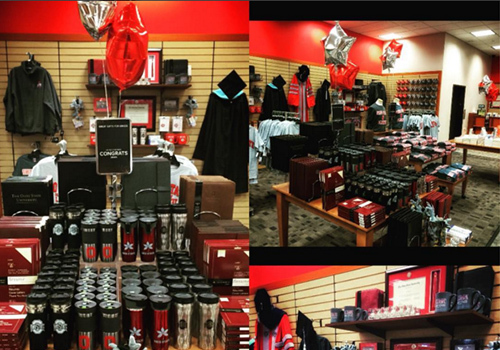 The campus bookstore is in a unique position to provide valuable information to graduating students, simplify the graduation process, and help students celebrate their outstanding achievements. 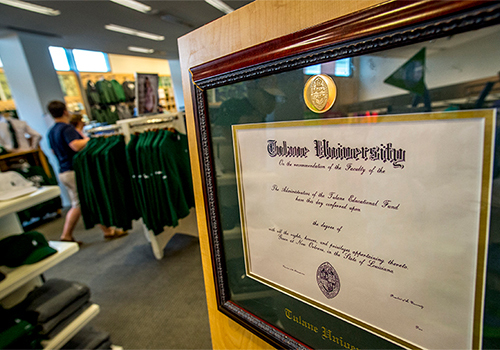 This spring, Barnes & Noble College campus bookstores across the country held Grad Fairs, where students could pick up their graduation regalia; register to participate in graduation; have their graduation portrait taken; purchase graduation gifts; speak with class ring, diploma frame and announcement representatives; speak with the alumni association; and enjoy refreshments and have fun. 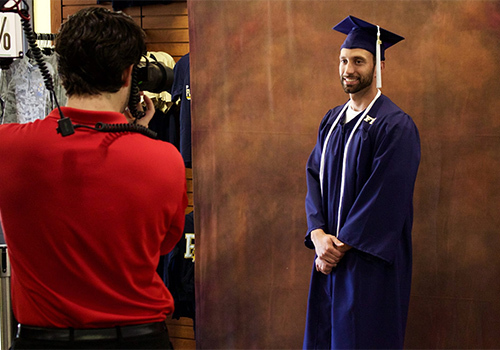 A student has his graduation photo professionally taken at the Florida International University Bookstore. The photo opportunity was part of the bookstore’s Grad Fair for graduating seniors. Refreshments were served at The Catholic University of America’s Grad Fair in Washington DC. 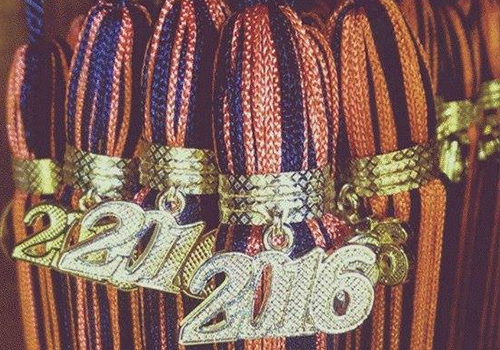 The class of 2016 picked up their caps, gowns and tassels at the Campbell University Bookstore located in Buies Creek, North Carolina. 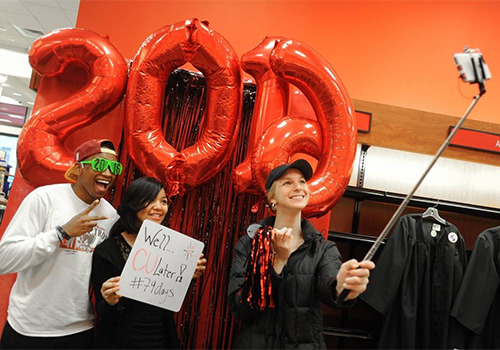 Graduates of the class of 2016 from The Catholic University of America take selfies at the Barnes & Noble at The Catholic University of America bookstore in Washington DC. 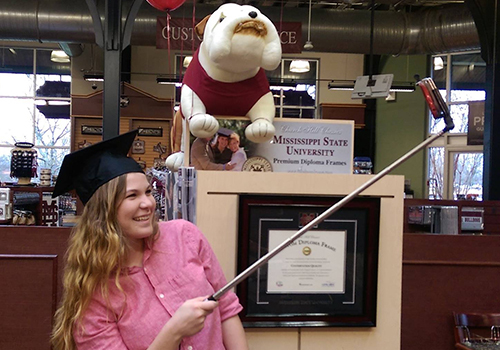 A Mississippi State University student takes a selfie with school mascot, Bully the Bulldog, at the MSU Grad Fair in Mississippi State, Mississippi. 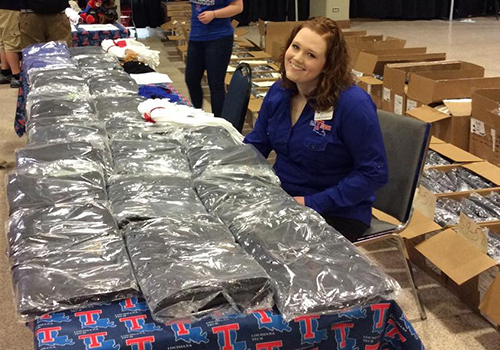 In Ruston, Louisiana, caps and gowns were distributed at Louisiana Tech University by the campus bookstore staff. 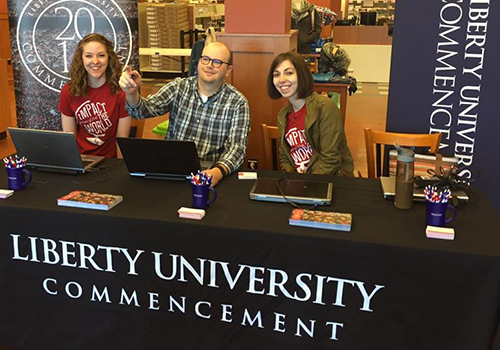 The Liberty University Bookstore staff greeted seniors who attended the Grad Fair held in the Lynchburg, Virginia bookstore. 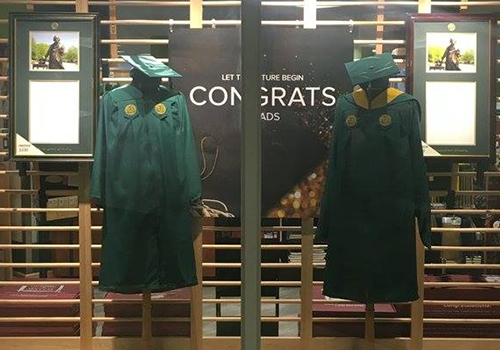 The George Mason University bookstore celebrated the Class of 2016 with a graduation window display. George Mason University is located in Fairfax, Virginia. 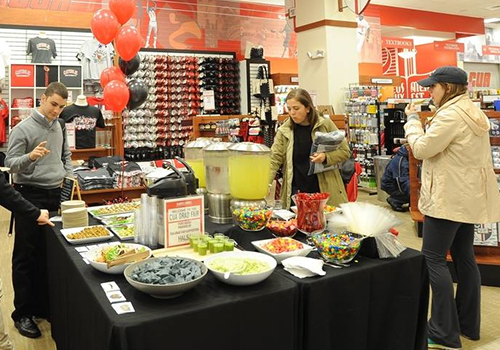 The Barnes & Noble at The Ohio State University showed it’s Buckeye pride at this year’s Grad Fair. The bookstore is located in Columbus, OH. 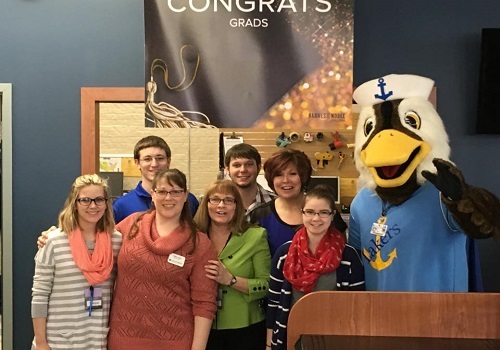 Lake Superior University students and faculty pose with school mascot, Seamore the Sea Duck. Lake Superior University is located in Sault Sainte Marie, Michigan. 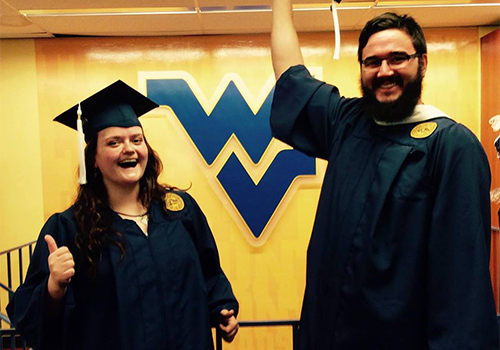 Students try on their caps and gowns at the West Virginia University bookstore, located in Morgantown, West Virginia. 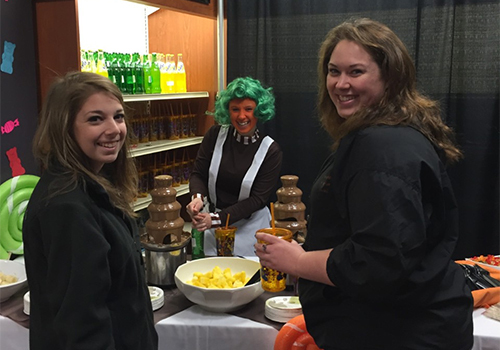 The SUNY Cobleskill Bookstore, located in Cobleskill, NY, held a Willy Wonka themed Grad Fair for graduating seniors.